Snaking around the walls from the kitchen towards the TV room is Rashidah’s decorative plate collection. 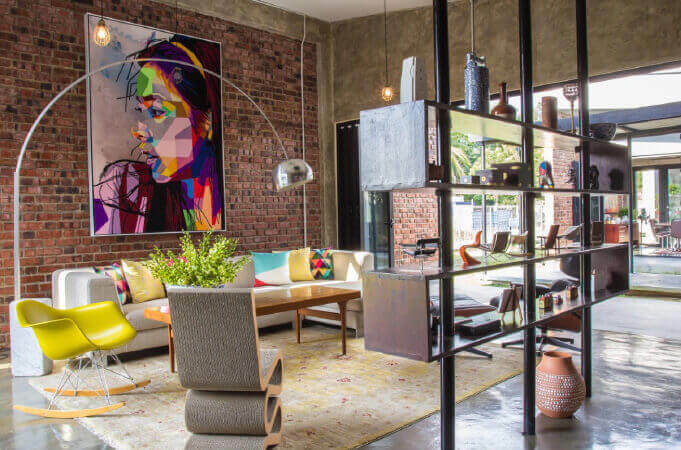 Despite the polished cement walls, the home interiors are colourful and cosy. 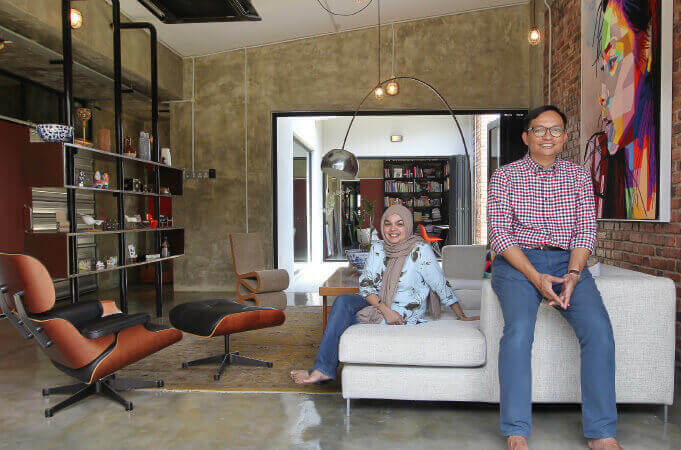 Homeowners Rashidah and Badrul in the living room housing their collection of designer chairs, such as Frank Gehry’s wiggle chair and an Eames armchair. The artwork on the wall matches the multicolour upholstery of the room as well. 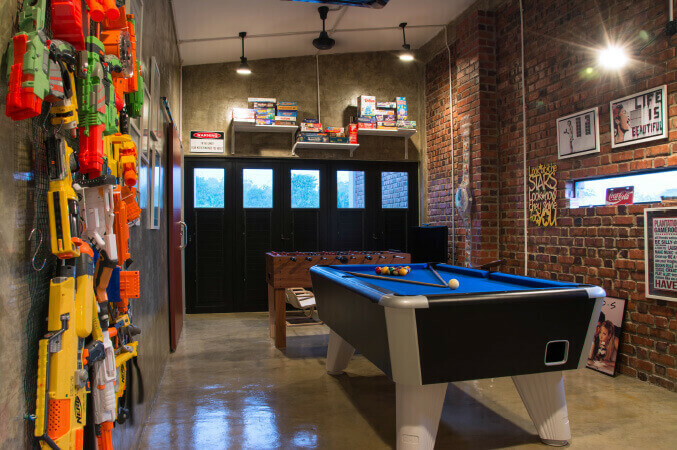 The game room is filled with board games, a wall of Nerf guns, a pool table and more. 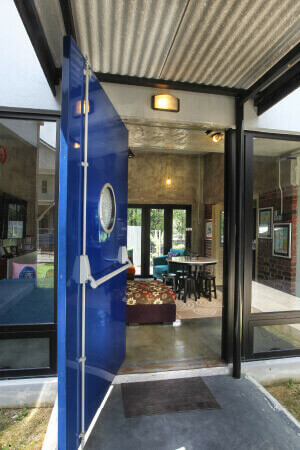 It’s also the entrance to the master bedroom. 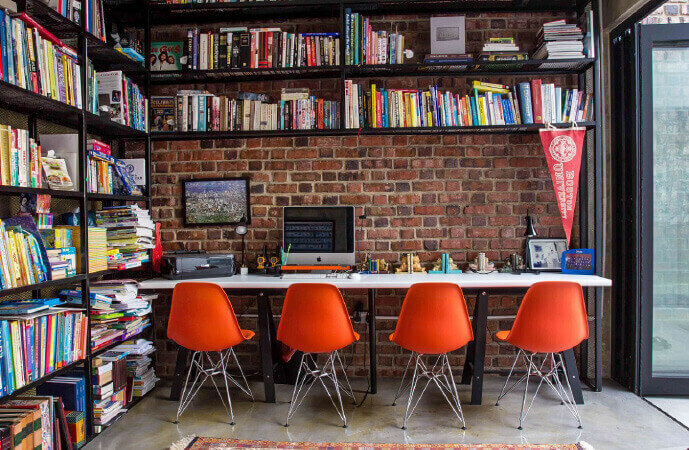 The study overflows with books on its shelves, and it’s the perfect space for Badrul and Rashidah’s sons to work on their homework. This edition of the haven/The Edge My Dream Home marks a decade of the contest and one sentiment that has remained consistent throughout the years is that a home means different things to different people. For some, a home is a treasure trove of memories — good and bad — and this is especially so for family homes that have housed generations. For others, it could mean starting afresh as a newly married couple or in a new city. Then there are homes that serve as a declaration of independence as one purchases his or her first property. Whichever category a home may fall into does not alter the fact that it is a sanctuary for its occupants. Over the years, houses have evolved to serve more than their main function as a basic human need and shelter from the elements of nature. Today, a house is also a personalised statement of style and a gathering ground for loved ones. Meticulous planning goes into the design and furnishings of a house in order to achieve the desired effect. As a result, designing a house is a huge task, even daunting at times as some of the homeowners, designers and architects share in the stories that fill the pages of this issue of haven. In the past 10 years we have showcased a wide range of homes that are a culmination of creative designs with practicality. In this issue, we continue to feature a selection of beautiful homes that come in all shapes and sizes — detached/semi-detached, terraced, condominium and green homes, that will hopefully inspire you to create your very own dream home. The Plantation House is not on the map — literally. 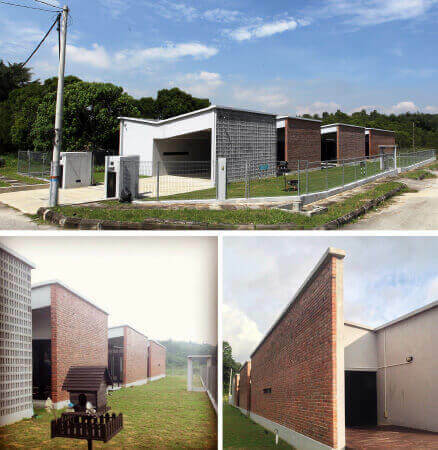 Sitting on a plot of land behind some terraced houses in Bukit Rahman Putra, Sungai Buloh, is a single-storey house that is unlike any other. 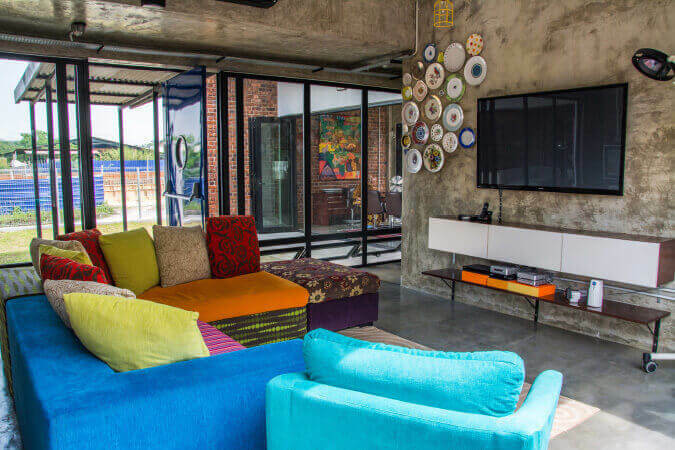 For Badrul Rahman and Rashidah Ali, it is a passion project that showcases their love for creativity, quirky design and non-conformist structures. It is clear that this husband and wife team has a design aesthetic and personality that translates well as they play on each other’s strengths — they have not just built a house, they have built their dream home. The story of how the Plantation House came to be can only be described as tenacious, quirky and quintessentially ensconced in the advertising world. 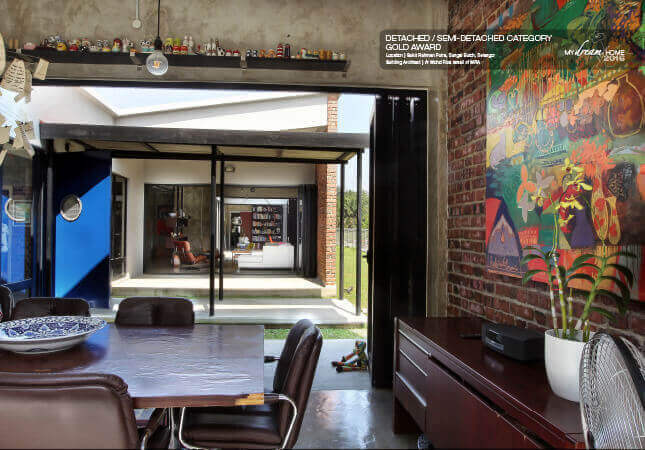 After chancing upon the work of an architect whose style they liked in 2006, Badrul and Rashidah wanted to reach out to him for his magic touch. Being an ad man, Badrul knew that the key was to catch the architecht’s attention: “We were not sure he would entertain us as his past projects had big budgets.” The couple had big dreams but a modest budget. They started by anonymously sending him four cryptic postcards with hidden clues to the house they wanted to build. Finally, they followed up with an email explaining who they were and their intentions behind the postcards and their idea for a project. The architect wasnt sure if Rashidah and Badrul were stalkers or legitimate clients until the third card arrived. Fortunately, he came around it marked the beginning of realising their dream home. Badrul continued his campaign, taking it upon himself to write a 13-page brief for the architect, complete with descriptions of each inhabitant of the home, fictional responses of neighbours (to give a sense of what they would like their home to project), and considerations they would like to have. With that, the architect drew up a blueprint for the couple, which they have framed and hung in the corridor of their home, like artwork. The result of that design is the creation of the rooms in the house, all interconnected by one long corridor that serves as the trunk of the house. Entering at the front of the house, all the spaces to the left are the private areas, starting with the shoe closet and storage area, laundry room, pantry, kitchen, TV room, Rashidah’s craft area, guestrooms and bedrooms. On the right are the open areas for when Badrul and Rashidah are entertaining. These social area “rooms” only have one wall, allowing the dining room, living room and study to feel separated while being linked. 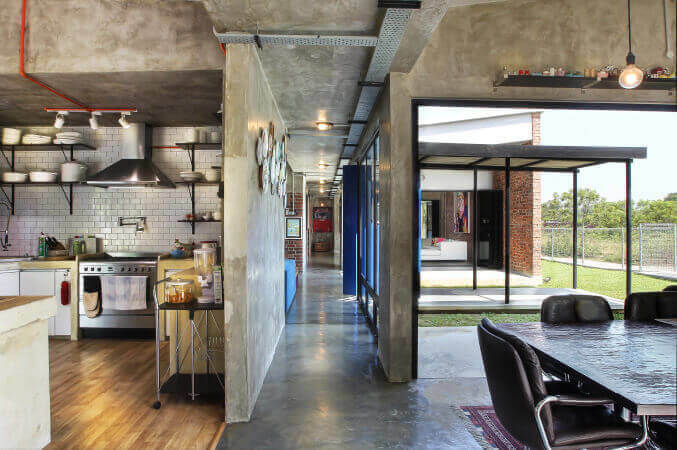 The lack of walls between these spaces makes the rooms feel connected in one seamless flow with a lot of ventilation and light due to the open plan. Sitting at the tail end of the house is the master bedroom, which can only be entered through the game room. “We always get asked this: where are your curtains? !” says Badrul, animatedly reenacting the responses he gets. From a large expansive window that takes up almost the whole wall, the room has a view of a grassy field, river and backyard, giving them the luxury of natural sunlight and, believe it or not, privacy. 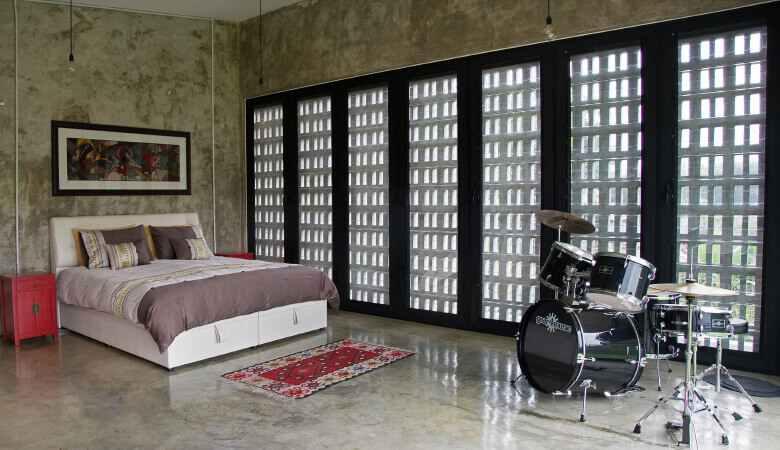 Their backyard strategically ensures that no one can look into their bedroom. “When you try to conceal too much, the things you are trying to hide become even more obvious,” Badrul rationalises the open plan concept of the Plantation House. Often, creative types will tell you that the secret to design is noticing, as there are invisible problems all around us. It may feel a little simplistic to describe the couple’s aesthetic as unassuming because it is more than that. Due to their acute attention to detail, they have made design decisions that are obvious yet invisible. Take the polished concrete walls, exposed conduits and cable trays — what would normally be hidden away — Badrul and Rashidah chose to keep visible. It is precisely this visibility in their colourful home that blends these elements, camouflaging them and placing them in the background, adding more nuance to the character of the house. Giving even more character are the carefully curated design elements in the social areas of the house. For starters, instead of a dining table, Badrul salvaged an old table from a bank’s boardroom together with its 10 chairs. As we were conducting the interview, the finishing on the table was flaking, signalling that it will soon time for its final disposal. The dining room flows internally into the kitchen where Rashidah has an impressive collection of cake stands, salt and pepper shakers and decorative plates hung in the corridor snaking into the TV area. The living room is the next open social space — a retro-inspired feel of Mad Men comes from original designer chairs, such as Frank O Gehry’s Wiggle chair, an Eames chair and a few others. Anchoring the room is a colourful yarn and acrylic art piece by a young Malaysian artist, the vibrant colours of which match the upholstery in the room.